Generously butter a 9-inch (23 cm) cast iron or cake pan. In a large bowl, whisk together warm almond milk, melted coconut oil, and sugar. The mixture should be just warm, registering between 100-110˚F (40˚C). If hotter, allow to cool slightly. Sprinkle the yeast evenly over the warm mixture and let sit for 5 minutes. Add 4 cups (460 g) of whole wheat flour to the milk mixture and mix with a wooden spoon until just combined. In a small bowl combine the applesauce, brown sugar, and cinnamon, and stir to combine. Set aside. Remove the towel and add remaining whole wheat flour, baking powder, and salt. Stir well, then turn out onto a well-floured surface. Knead the dough lightly until the dough just loses its stickiness and does not stick to the surface. 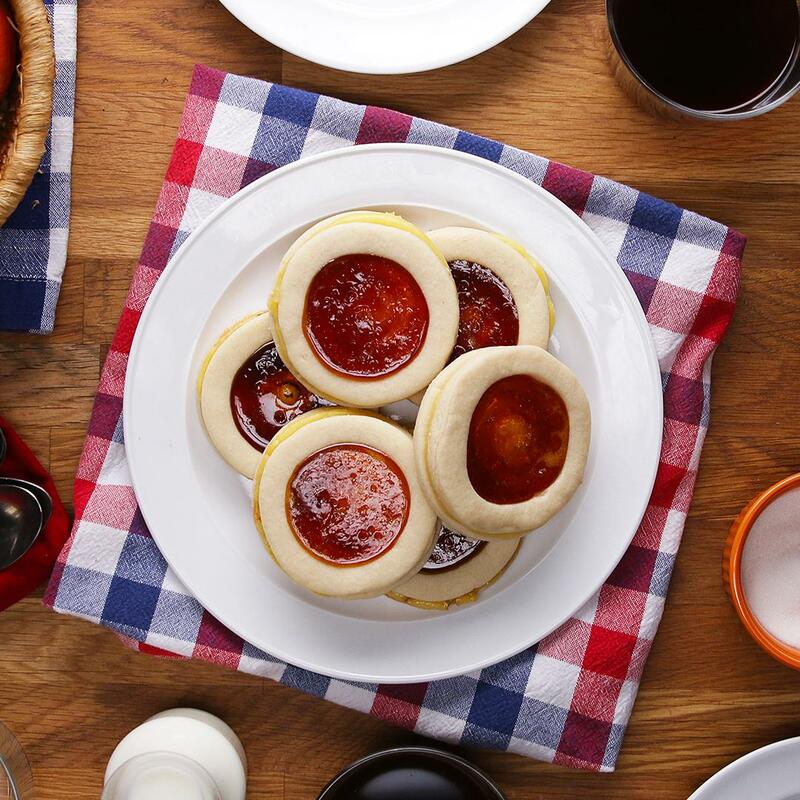 Roll the dough out into a large rectangle, about ¼-inch (½ cm) thick. Fix corners to make sure they are sharp and even. 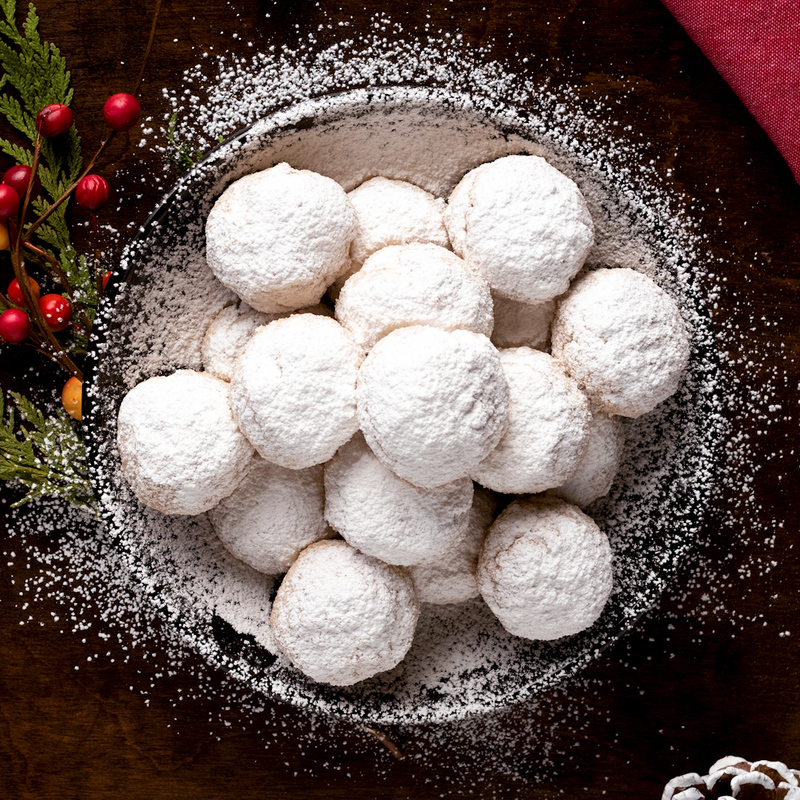 Spread the filling mixture evenly over the rolled out dough, spreading right to the edges. Gently roll the dough into a large log and slice it into 1-inch (2 cm) pieces. 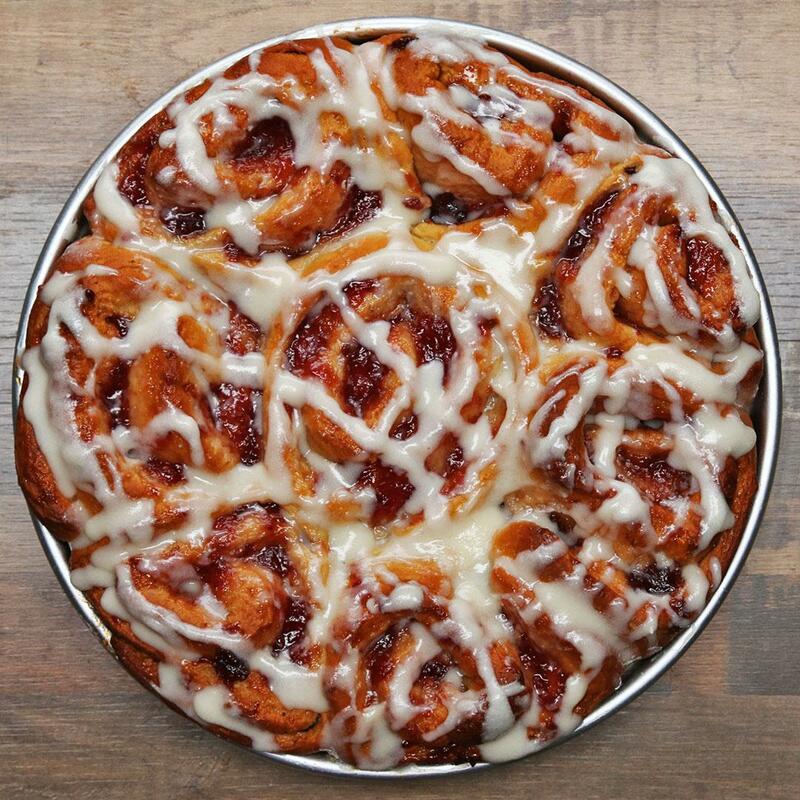 Place the cinnamon rolls in the greased cake pan, leaving some space between them, and bake for 30 minutes. 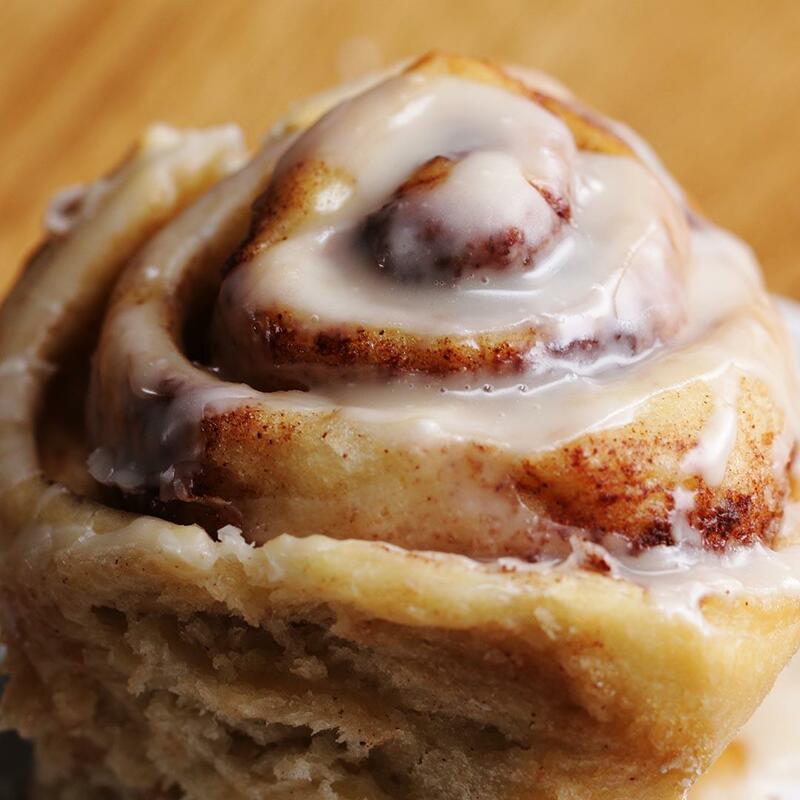 While the cinnamon roll is baking, prepare the frosting. 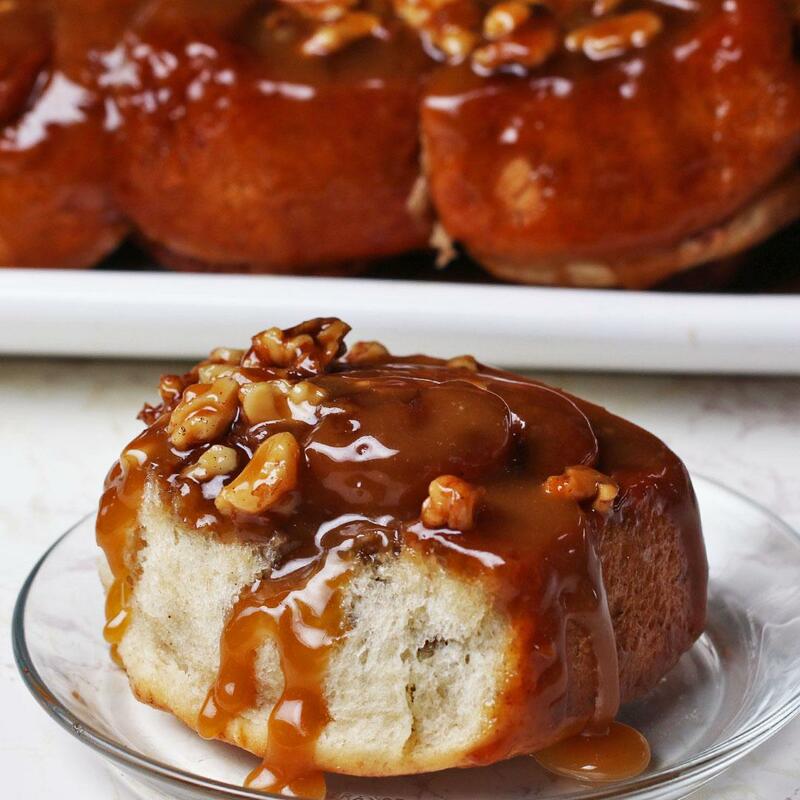 In a medium-size mixing bowl, whisk together the light cream cheese, coconut oil, vanilla extract, almond milk, and maple syrup, until smooth. 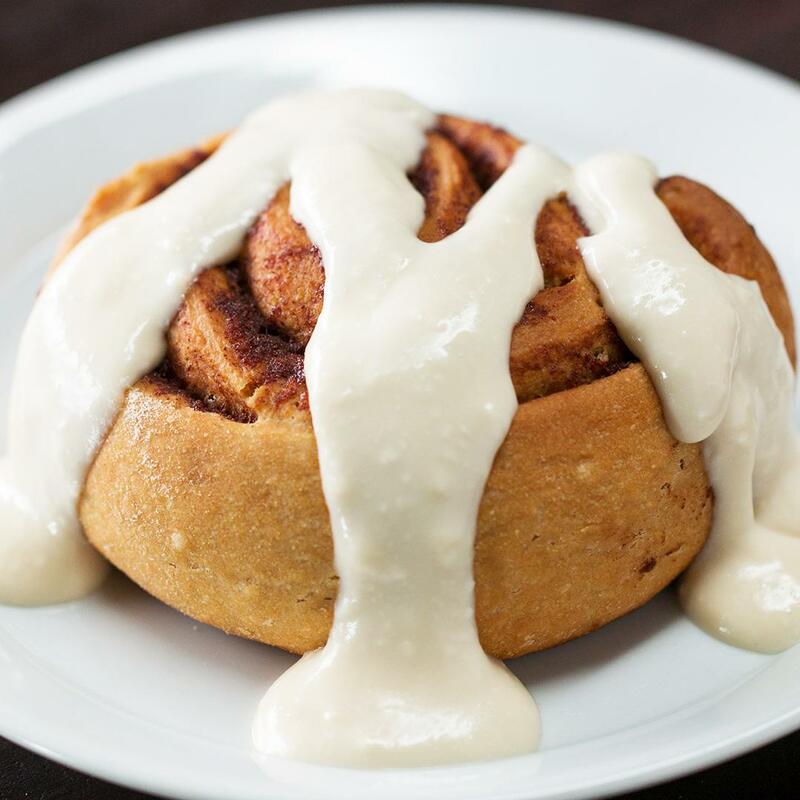 Remove the cinnamon rolls from the oven and let cool in the pan for at least 15 minutes. 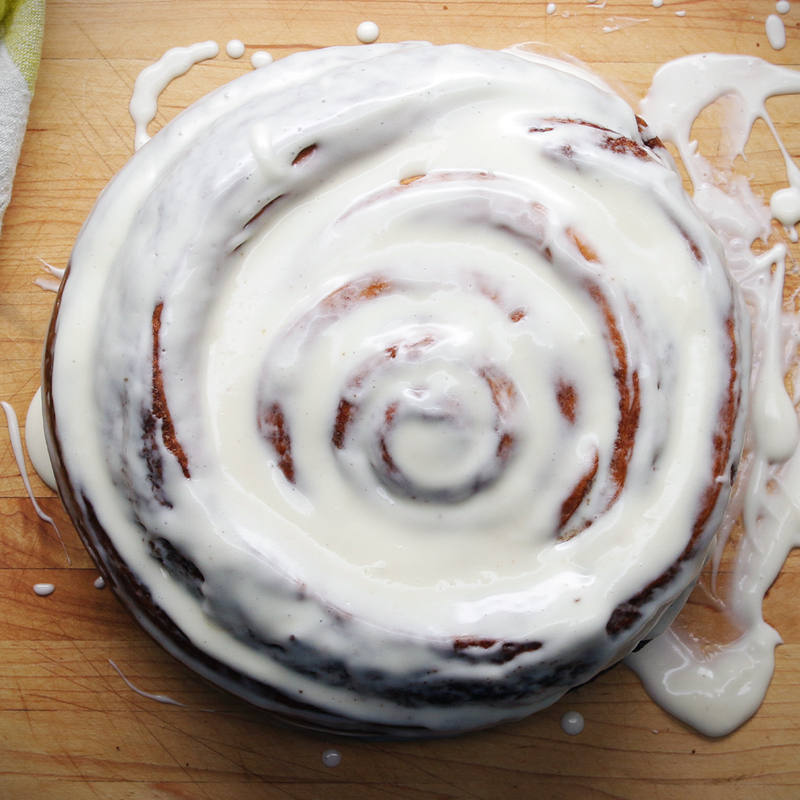 Once cool, remove from pan and drizzle frosting over the rolls before serving. These were yummy! Not very sweet but still great. Super messy rolling the dough after putting in the filling, the filling bled out the sides cuz its liquidy. Maybe a tad less applesauce. I didn’t love the taste of the apple sauce or whole wheat flour but everything else was great!